Robert P. McCulloch, an entrepreneur from Missouri, established Lake Havasu City in 1963, and it was incorporated 15 years later. Our most famous landmark is the London Bridge, which McCulloch purchased from the city of London for $2,460,000. The bridge was dismantled in England, shipped to California via the Panama Canal, transported by truck to Arizona and reassembled on a peninsula of Lake Havasu. All this cost an additional seven million. The Bridgewater Channel was excavated underneath, and a replica English Village was constructed next to it. The bridge was opened in 1971, and only the Grand Canyon draws more visitors to Arizona annually. Lake Havasu City experiences an arid desert climate. We enjoy approximately 300 sunny days each year. The July high temperature climbs to about 112 degrees, while the January low dips to around 44. We receive an average of three inches of rain annually. Our city is served by six elementary schools, a middle school, high school, charter and private schools. Mohave Community College offers continuing education. Havasu Regional Medical Center and Havasu Surgery Center provide health care services in our area. Air travelers are accommodated by Lake Havasu City Airport. Entertainment in our city centers around the lake. Virtually free of biting insects and dangerous fish, our sandy beaches are the perfect place for a picnic, family gathering or just a lazy afternoon. The clear blue waters of Lake Havasu offer 20-25 feet of visibility, making it the ideal place for swimming, snorkeling or scuba diving. Fishing and boating opportunities are also plentiful. 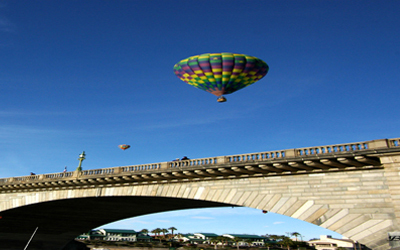 Lake Havasu hosts a number of boat races and professional fishing tournaments. Even if the sun gets too warm, you can still enjoy the water indoors. The Lake Havasu City Aquatic Center offers a refreshing wave pool, exhilarating waterslide and more. The many shopping districts of Lake Havasu City offer something for every imaginable taste. The London Bridge Shops boast a variety of waterfront boutiques and dining options. Savor a delicious meal and find the perfect souvenir at the Island Fashion Mall. 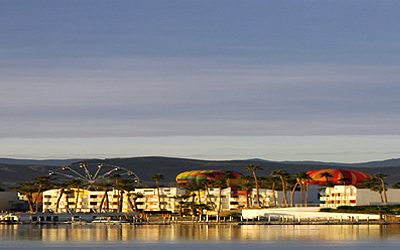 The Shops at Lake Havasu include several national retail stores as well as Ultrastar Cinemas. In addition, the area features numerous parks, golf courses, casinos and vibrant nightlife. Be sure to stop by our United Country office in Lake Havasu City. Whether you seek the perfect business location, seasonal getaway or permanent home, we can help you realize your goals.